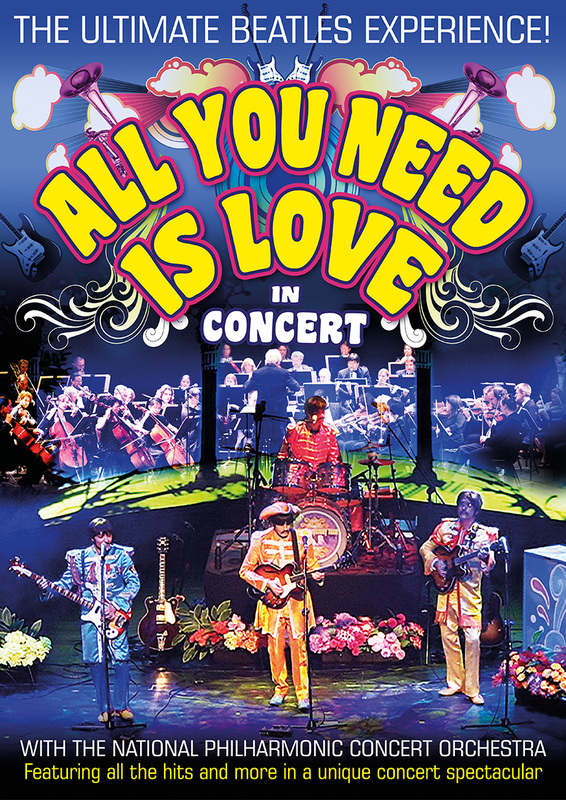 All You Need Is Love is a unique concert spectacular featuring the music and immeasurable talents of The Beatles. The Beatles unleashed their first single in the UK and went on to top the charts across the globe and change the world forever. Backed by the National Philharmonic Concert Orchestra, All You Need Is Love will fill you with nostalgia, joy and wonderment as we pass through the greatest and most iconic hits of the Fab Four, taking us back to the heyday of Beatlemania.